From Paolo Pininfarina, the designer of Ferrari and other elite sports cars, comes a designer water collaboration. Pure natural goodness supplied by Lauretana and nature presented in a stylish, boutique vessel courtesy of Pininfarina. Enjoy the sleek sports car styling of the Pininfarina signature bottle and take pleasure in drinking. It’s the Ferrari of mineral waters. With a history dating back to 1930 and a name synonymous with prestige and refinement, Pininfarina has a global reputation as a leader in design and innovation. The Pininfarina aesthetic is one of sinuous lines which incorporate modernist principles of elegant functionality. Their look is cosmopolitan with a global appeal whilst remaining distinctly, stylishly, quintessentially Italian. Pininfarina’s creative approach emphasises elegance, simplicity and innovation – a perfect fit for a water that is elegant in its simplicity and luxurious in its purity. 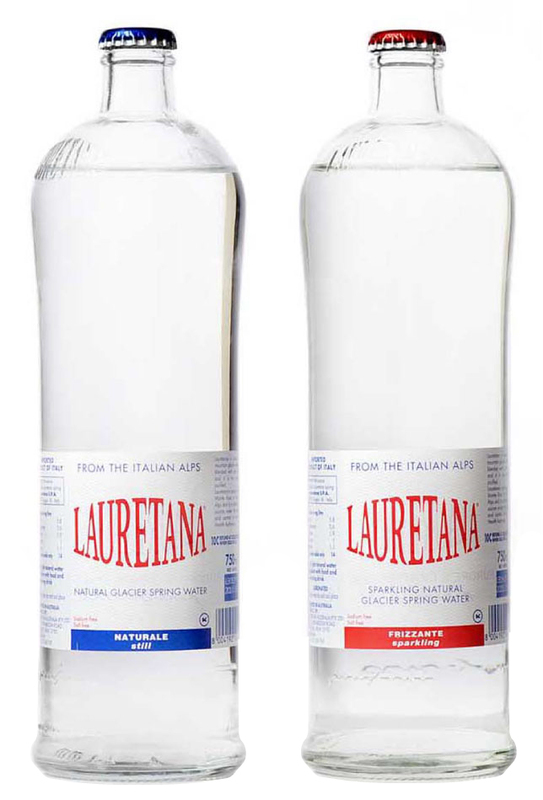 For Lauretana, Pininfarina designed a boutique 750ml glass bottle. The clean lines, easy grip and cylindrical formal development of the bottle complement the clarity, lightness and refreshing qualities of the water. Our designer bottle range was created in 2002 and comes in still or sparkling and is available exclusively to fine dining establishments worldwide – it is never sold via retailers. As stylish as it is pure, it’s the perfect accompaniment or prelude to an outstanding meal where the emphasis is placed equally on presentation and taste. Lauretana’s elegant Pininfarina bottle was selected by curator Beppe Finessi as one of 200 objects for Cosmit’s Tavole Meravigliose (‘marvellous tables’) exhibition for the 2008 Salone del Mobile. The exhibition featured four interpretations of outstanding tables which drew inspiration from the history of companies, architects and designers who have written pages of “living styles”.